'Cause all of me loves all of you, love your curves and all your edges, all your perfect imperfections. Give your all to me, I’ll give my all to you. You’re my end and my beginning, even when I lose I’m winning. - John Legend, "All of Me"
"En as ek die dag my hand in joune sit, sal ek my padkaarte bêre met die wete: my reise opsoek na jou is nou verby" Anjtie Krog. These two got married on their 11th year anniversary of being together, wow! An absolutely radiant bride wearing a self-designed wedding gown. A special moment when the portrait session turned into a rainy romantic walk in the forest. When settling your heart into another’s, it’s a sigh of relief to have found your one true home. It’s so beautiful seeing all the friends and family so happy for a couple joining their lives. What better way to celebrate my 100th wedding than this couple! Such joy and love. Could not have imagined a better day. Good food, good wine, good music and the party continues. "When I look at you, I can feel it. I look at you and I'm home" Finding Nemo. Animations have the best quotes! Salty air, sunshine bliss E-session. Beautiful bright bougainvillas, sunset rivers and mountains for days. What better place to get married than at your own farm. A stunner of a wedding perfectly planned DIY farm wedding. I loved photographing every bit of this wedding, from the gorgeous girls to the amazing backdrops. Colour colours colours!!! How much fun shooting in the city, in the midst of the hub. It was an incredible experience drawing inspiration by walking the busy streets. Ending up in a little coffee shop after we were caught in the rain. Small intimate weddings are so precious and memorable for everyone that attended. Making the rules up as you go, it’s fun it’s exciting and it’s unique. Loved the landscapes of this amazing winter vintage wedding. “The photos are only great when the emotions are real.” Hierdie troue was propvol intense opregte oomblikke. Die “first look” oomblik voor die seremonie was een van die spesiaalste oomblikke wat ek al beleef het by ‘n troue. E-Shoots are like finding your sea legs. But once you have them it's smooth sailing on the wedding day! These two found them right away. Nothing beats chemistry and two happy hearts. Elegante, glansryke Oos Kaap troue. Daar was hoogtepunte en daar was nog meer hoogtepunte. Die blomme was kleurvol, kreatief en 'n absolute kunstige plesier. Die buitelug-dansvloer met liggies al om was 'n wenner vir veel. Loer gerus na hierdie wonder troue. Greek style wedding at The Rose Barn. The gorgeous Tanya, florist from Must Love Flowers and her handsome groom. Beautiful Greek ceremonies throughout the day with a stylish oh so awesome wedding vibe. Have a look at this magic. I don't normally share my family sessions on my wedding website. But I just had to show these beautiful moments between mom and her blue eyed boy, dad and his super trooper. It's beautiful when you can see the love. The magic that is a river sun set. Yes, please! Could not have imagined a more romantic setting and perfect autumn light. 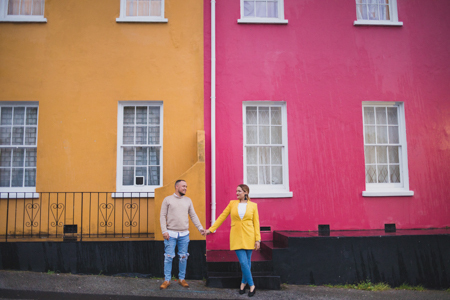 Homestyle e-sesh! Comfy, relaxed and chillin at home. Tanya and Andreas with their family of dogs. Even the dogs had some smiles and their snoots. Patensie feesviering! 'n Spesiale dagie tussen die berge en boorde. The Orchard House kyk uit op rye en rye sitrus bome. Met senuweeagtige giggels en "long flowy dresses" absoluut beeldskoon. Very proud to present, our styled shoot! This was so much fun, I can't wait to do another one. It's amazing working with stylish wedding peeps. 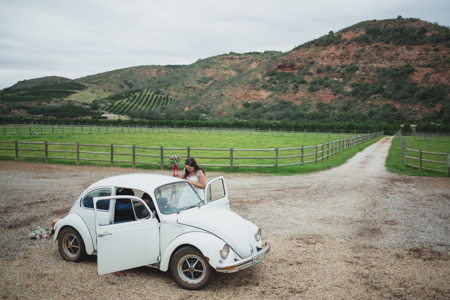 Elmari & Jon-Barry got married next to the Seekoeiriver at Happy Hippo Farm. Such a relaxed and romantic wedding. Fairy lights, sunset and awesome tunes filled the air. I've been so excited to share this beautiful wedding in the forest. Deep rich colours with fairylights all around. Awesome vibe and such a cool couple! I just loved being part of this small intimate beach Wedding. The Jbay waves crashing in the background and seagulls making their own music. It was a beautiful wedding ceremony with their closest family sharing their special day. Amazing sunlight, nature and a little bit of love. All you need for a perfect Engagement session. Let's take a walk through nature. Beautiful Pearston summer landscape with these two cuties! We raced the sun for those last few rays of colour and it was magical. What a wonderful wedding to end my year off. A beautiful sparkly wedding with a special "doing it different" couple. Essie you looked absolutely magnificent. I loved shooting your wedding and having a few laughs with you guys. And how nice of the PE wind to give us a few minutes on the beach. Stunning verby! Leché & Altus het 'n pragtige seremonie in die rose tuin gehad by Lombardini. Sulke lekker rustige atmosfeer en vriendelike gesiggies. Julle pas so oulik bymekaar. Dit was 'n fees! Fairy tale sunset wedding. Die Tsitsikamma met al sy mooi in eendag. Met die troue op die bult by Eersterivier se Fynbos Golf Estate kon ons almal die son sien ondergaan met al sy oranje-pink sagtheid. Alicia jy het absoluut asemrowend gelyk langs jou Mr handsome. With views like these it's amazing! Romantic sunset picnic on a mountain top. Beautiful wedding surrounded by nature, animals and all things beautiful that goes into a perfect wedding. From golden cutlery to fairy light filled reception. Dit is altyd lekker om sulke smiley mense af te neem! En wat 'n meer romantiese area as tussen die lemoen boorde in Patensie. Diep in die natuur op 'n berg naby Kirkwood het hulle getrou. Met die eerste troue van die seisoen het ons die mooiste en kleurvolste blommetjies gekry om die prentjies nog meer op te kikker. Nie dat hierdie bruid en bruidegom dit nodig gehad het nie. Lag, lag en nog meer laggies, dit was waarlik 'n fees van 'n dag! I had a wonderful time photographing these big hearts on their wedding day. They were blessed with pouring rain the night before their wedding. And had an amazing wedding with friends and family showering them with love. Nadia is absolutely gorgeous with this timeless Diana look. Gotta love it! I met up with Nadia and Donovan one very crisp winter morning for some beach fun. They braved the cold with frozen toes and still managed to create beautiful images together. With the soft pink rays of the sun and the amazing dunes at the Sardinia Bay beach. Living on a farm has got the perks of so much beauty. The woods the open fields and then the animals! When doggies are involved it always turns into a great deal of fun! In die hartjie van winter het Ilse & Reytjie hulle trou aan mekaar gevier by The Rose barn. Saam met vriende en familie en die helte van die Langkloof. Met die sagte winter sonnetjie wat sak het hulle die pragtige saal ingestap en 'n feestelike aand gehad. 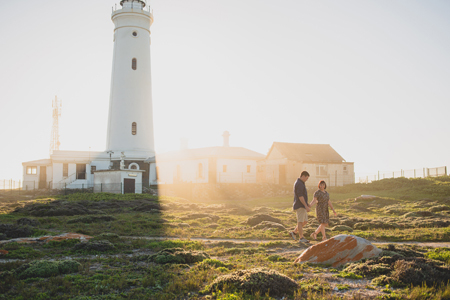 Stunning sunset E-Shoot in Cape St Francis with these two cuties. For once the wind was not howling at St Francis and we got to enjoy a fun day next to the rocky shoreline. Beautiful love story between Michael & Bianca with a fairy light filled fairy tale. 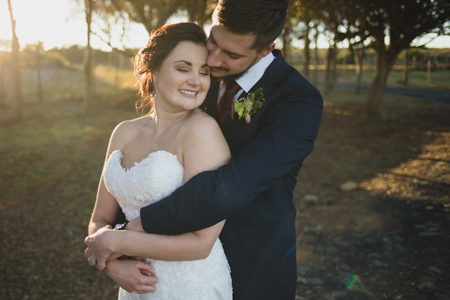 They got married at Lombardini Game Farm with a beautiful outside ceremony. For some fun we went for a drive to go check out the rhino's and have a few laughs. On our way back we got a flat wheel. There's always a little funny story in everyone's wedding day. 'n Romantiese intieme troue in die bos reg langs die Eersterivier. In die heel eerste kerkie vir die area het Jacqueline en Wim hul trou beloof. Op haar ouers se plaas het hulle fees gevier saam met vriende en familie. 'n Self-doen troue van die hoogste gehalte. Beautiful boho wedding at Mentorskraal. What a match made in heaven, these down-to-earth, loving-life couple had so much fun at their wedding. The sun was perfect with the orange glimmers on the river. While having a few laughs before joining in with the rest of the party. Fairy tale setting in the Tsitsikamma plantation. Hierdie twee is so oulik, kan nie wag vir die troue nie! Naby aan verkluimingspunt, hierdie twee ysblokkies se troudag was een om te onthou. Met 'n lekker reënerige herfsdag, warm lippies en liefdevolle hartjies het hulle Mnr & Mev Claassen geword. Dit was 'n voorreg om deel te wees van julle spesiale dag. Julle maak 'n amazing span saam, ek sien 'n ongelooflike toekoms vir julle twee. We couldn't ask for a more romantic sunset. I think that hurricane wind even added to the romance. With a styled picnic next to the Lake. This was my first wedding at Blomfontein and what an experience it was. This amazing all-in-one venue is nestled in the middle of nowhere just outside Cradock. With views that don't end and mountains for days. What's great about secluded wedding spots; the guests with bride and groom gets to stretch out this experience. Adelé was mesmerising and absolutely radiant on her wedding day. Nestled in between the animals and mountains, we celebrated the wedding of these two stunning people. They just look perfect next to each other. The wind was not settling down for our little photo mission, but luckily we found a little spot protected from the huffing and puffing. We got some amazing photos, it's super when everyone is so chilled out and happy. Bright, beautiful and festive. 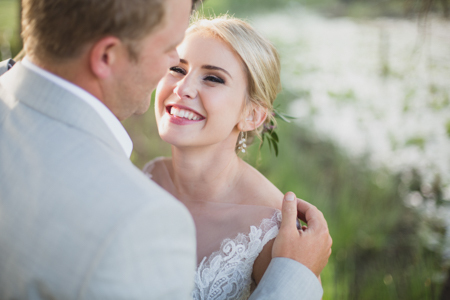 Claire and Monti got married in the happiest season for Jeffreys Bay. With a huge guest list and friends and family from all over this globe. Pink & yellow flowers, wooden tables and fairy lights all around. We celebrated Elizca and Werner’s wedding at Lombardini Game Farm. With a beautiful romantic sun set game drive. “When I saw you I fell in love, and you smiled because you knew” – William Shakespeare. I just loved photographing the joy between this bride and groom. Such a perfect day for promising forever together with your best friend. Gold glitter, with an abundance of lovely white roses. Candles filling the entire venue with a touch of greenery. Glamour, princess style wedding with real, special moments was what made this wedding day breathtakingly beautiful. Dreams do come true… Beautiful outside ceremony, birds chirping, geese chatting. True love wins at the end. "One of our best moments was taking our wedding photo’s with all our favorite people, looking sharp in our suits and dresses and then BAM out of nowhere comes the craziest storm and we all end up looking like soaked puppies! 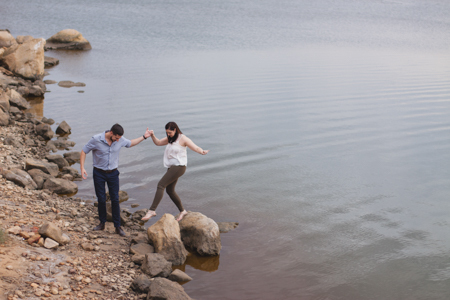 We couldn’t help but laugh throughout the photo shoot!" What a beautiful sunny day in the middle of winter. South Africa’s the best! 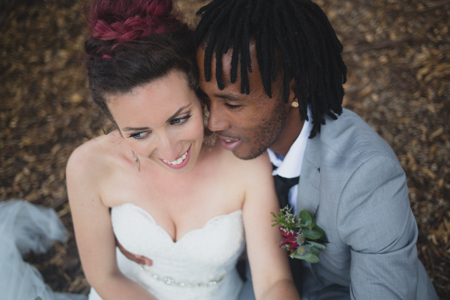 Sharon and Rudo had their Wedding next to the Seekoeiriver just outside Jeffreys Bay at the Happy Hippo Farm. Die paartjie het hulle seremonie gehad met die berge as hulle agtergrond en die natuur geluidjies as hulle musiek. Absolute sprokies verhaal mooi omgewing. My favourite part of this wedding was Johann & Gharde’s utter joy on the dance floor. Taking a walk in the incredible autumn sunset, with the last bits of sun rays. Real, special moments was what made this wedding day breathtakingly beautiful. Love the dress, love the hair, love the look! Fiercely beautiful couple. The excitement that Merwe had on the wedding was the cutest thing ever. Absolutely beautiful from the emotional ceremony to the fairy light filled Reception. We also had the Giraffe’s come in for a quick photo bomb during our Game drive. I think this day was the first feeling of summer is coming. Got up at 5:00 am to race the sun to the beach. Leoni & Daneel looked super fresh for a sunrise. The best part of it all, Jeffreys hardly had any wind that early. I'm loving the sunrise shoots. These two little love birds are like two peas in a pod. Listening to them talk about how they met and how they fell madly in love with each other from first sight. It's like destiny was just waiting for them around the corner. Their wedding day was one out of a fairy tale. Can't wait for this wedding! Such a rad couple. These guys know how to throw a party! With a misty rain setting in, on the outdoor sea view ceremony, it made the moment so much more magical. Drove to the Lighthouse for some awesome beach photos. Luckily mother nature gave us a few moments with rain-free clouds. Sandy feet, summer sun and a whole lotta fun! From tears of joy to tears of hysterical laughter, this day was beautiful. It was perfect. Anelle & Reino het een van die lekkerste troues gehad, so lekker dat die gaste nie wou huis toe nie. Op hul troudag was ook die dag wat die bruidegom 30 geword het en hulle het dit in ‘n briljante manier inkorporeer. Best way to go into the new year, marrying your favourite person. It was incredibly hot, but it was magical! Everyone excited for the newly wed couple and also the new year celebration. Back from an amazing rhino filled game drive we walked into a fairy light filled Reception. Small intimate Jeffreys Bay beach wedding. On the secluded sands of Paradise beach family and friends came together. Sitting next to the simmering sea, the humming sound of the waves with sandy feet we gathered for a beautiful ceremony. 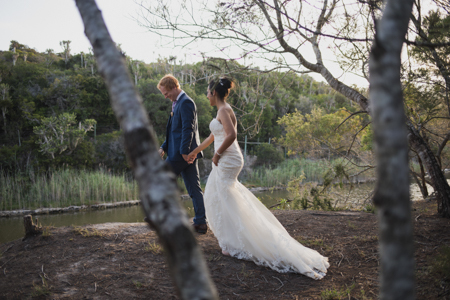 Next to the banks of the Gamtoos river in the heart of the Eastern Cape Rounelle & Ashley said their I Do’s. With the sun setting to our left and the music playing to our right. To the cutest couple, for being such fun sports on the Photo session, we had a great time. ‘n Liefdesverhaal tussen twee wonderlike siele. Summer romance, son, see en sand is al wat jy nodig het. Wow this bride is mesmerisingly flawless. She looked like a movie star! So many details in this Wedding, I loved their ideas! Bringing out their personalities in the little details of the day. Tussen die gamtoos berge en die lemoenboorde het ek die die twee spesiale mensies afgeneem. Dit is ‘n sprokies liefde tussen die 2 families wat bymekaar uit gekom het. Relaxed intimate wedding at the amazing Wild Fig restaurant. Yummiest wedding food!!!! This is such a fun group of people. The joys of a wedding day. Wish we can have it over and over. The inner angel in the bride. Mooier as mooi was Chantelle op haar troudag! Van begin tot einde van trourok tot troukoek, die dag was perfek! These two amazing people came back to South Africa to have their wedding in their homeland. They are Kenyans, with their amazing gorgeously dressed groomsmen. Winter wonderland in the Eastern cape. With a rustic feel and beautiful protea flowers decorated all over. The Rose Barn created a wonderful ambiance and energy for this wedding. Fun and laughter all around. This was the most glamour DIY wedding I have ever photographed or attended! With over 200 guests we celebrated Barbara and Warren's wedding on the brides family farm. With a backyard wedding and a party that never ended. I just love this valley, it is absolutely gorgeous and so peacefull. A perfect setting for a romantic wedding, Also an amazing DIY wedding. With a breathtaking beach side ceremony and a little light rain setting in we had tears of joy for this couple. They had a bit of both, a game drive and a seaside walk along the shore for their photo sesh. Amazing weekend away in the Transkei. It's lovely having all your family and friends around you for the whole weekend at such a beautiful setting. In the heart of summer, these two melted their hearts together. I loooove shooting inland, the mountains are breathtaking and the people so friendly I always feel like staying a bit longer.